Religious tours are the important events of life. Such tours are a blend of pleasure and devotion. In most of the cases, pilgrimage tour is a journey to important shrines or sacred places of importance to one’s faith. 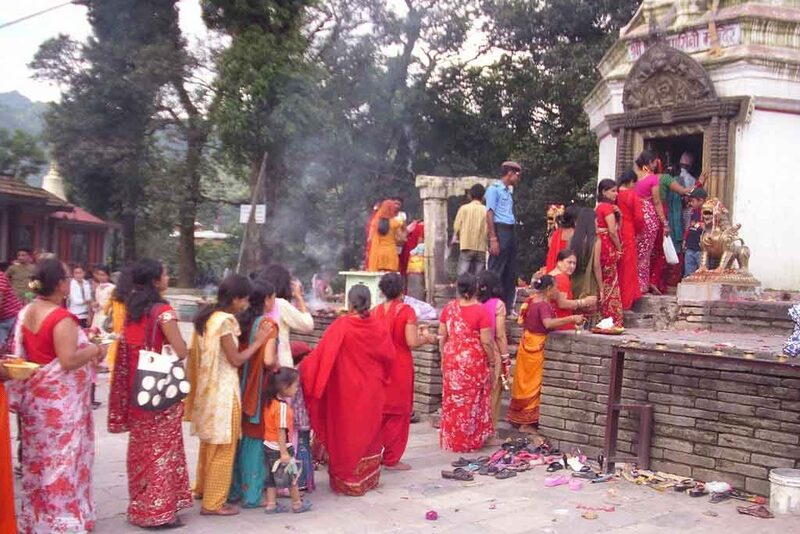 Here we have listed a few important Hindu shrines of Nepal. 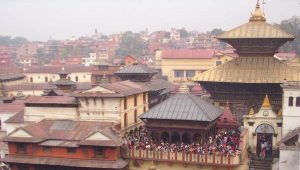 Above all, Pashupatinath Temple is the most noteworthy pilgrimage site for all Hindus of the world. Pashupatinath is the Temple of Lord Shiva and lies on the bank of Bagmati River. The temple is the center of Hindu pilgrims around the world. It is also one of the finest examples of Nepali architecture. Great celebration takes place during Maha Shivaratri festival. Hundreds of thousands of devotees visit Pashupatinath Temple during Maha Shivaratri. They take a ritual bath in the Bagmati River and observe a fast for the whole day. 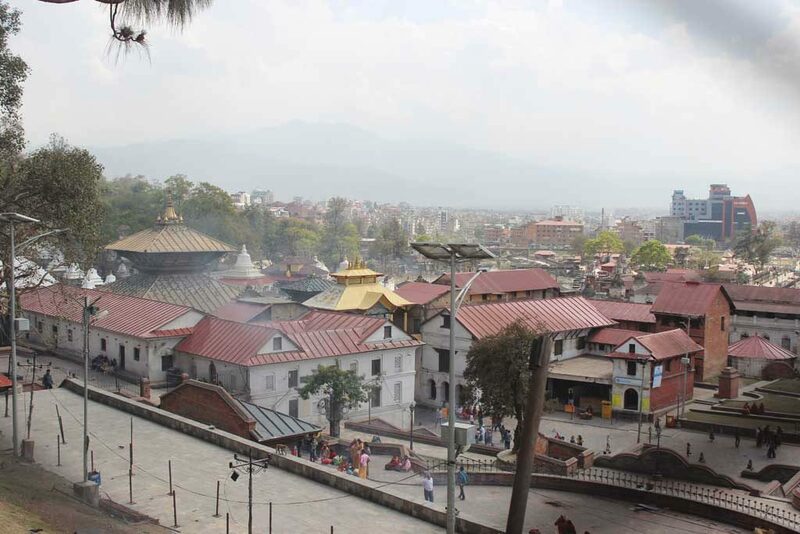 Pashupatinath Temple refers to as the most sacred temple as a symbol of faith, religion and culture. Therefore, one should consider to visit the Pashupatinath Temple at least for once in lifetime. Budanilkantha is famous as the sleeping Vishnu lying on the foot of the Shivapuri hill towards the north end of Kathmandu Valley. This is a five-meter long granite image carved out of a single stone. There is a legend about the statue. While a farmer was ploughing his field, he struck with a stone and started oozing blood out of it. A beautiful image of Vishnu was excavated upon digging around it. On the 11th day of Kartik (October-November), the temple observes a great celebration known as ‘Haribodhini Ekadashi’. Thousands of pilgrims from Nepal and India visit the temple during the celebration of the awakening of Lord Vishnu from his long sleep. The Changu Narayan Temple is a UNESCO World Heritage Site and lies on a hillock towards the eastern part of Kathmandu Valley. This is also a popular Vishnu Temple and visited by thousands of devotees during ‘Harisayani Ekadashi’ during the Nepali month of Ashad (June-July). People believe that Vishnu is to go into hibernation and wake up four months later on ‘Haribodhini Ekadashi’ during the month of Kartik (October-November). So, devotees worship at the Changyu Narayan Temple during both the occasions. 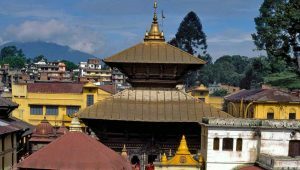 Changu Narayan Temple is the oldest temple in Nepal built during the 5th century. The temple is the master-piece of wood and stone carvings. Dakshinkali is one of the most popular temples dedicated to Goddess Kali. Kali is believed to be the ‘Sources of Power’ originated in order to end the devils from the earth. Worshiping takes place with the sacrifices of male animals especially on Saturdays. The temple lies in the south of the Kathmandu. Therefore, the temple refers to as Dakshinkali which means ‘Kali of the South’. Dakshinkali Temple has a great celebration during Dashain that comes in the month of October especially at ‘Nawa Durga’ period. Manakamana Temple is famous as the wish fulfilling temple. The temple lies in Gorkha district of Nepal. A cable car ride is necessary from Kurintar of Kathmandu-Pokhara Prithvi highway. Goddess Manakamana is enriched in the form of shila (stone statue) inside the temple. There are four other statues adjacent to it representing the dieties- Bhairab, Ganesh, Kumari and Betaal. Thousands of devotees make offerings of male animal sacrifices to the goddess especially on Saturdays. The temple premises offer panoramic views of the popular Manaslu Himal and Annapurna peaks. Bindhyabasini Temple is another important shrine located on the top of a small hillock at the north end of the old bazaar in Pokhara about 6km far from Lakeside. It is one of the oldest and most famous temples in Pokhara. It is also a popular temple where marriage ceremonies take place according to Hindu customs. 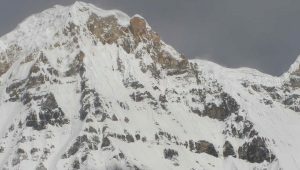 The temple premises also offer to witness the panorama of Annapurna Himalayan Range and the Mt. Fishtail. Hence, Bindhyabasini Temple is one of the not to miss religious sites in Pokhara. Muktinath Temple is located on the trans-Himalayan locale of northern part of Pokhara at the foot of the snow-covered mountains. The temple is sacred to both Hindu and Buddhist pilgrims. There are references of Muktinath in the Hindu Holy Scriptures such as Ramayana, Barah Purana and Skanda Purana. The place has its fame to the fossil stones called ‘Shaligrama’ found along the Kali Gandaki River bed. Hindu pilgrims believe the fossil stones to represent Lord Vishnu in the form of stone. The pagoda-style 19th century temple has 108 sacred water spouts (springs) for religious bath. 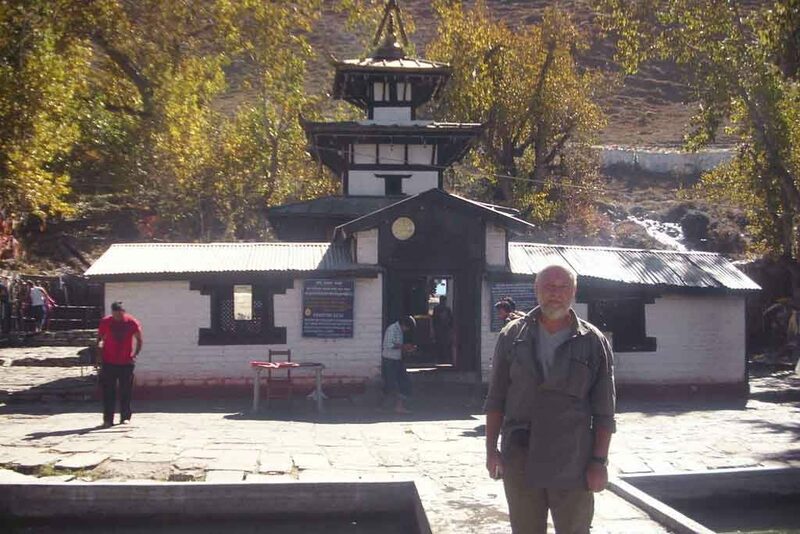 Muktinath is also the major point of attraction of the popular Annapurna Circuit trek. In addition to this, Muktinath darshan is now possible by Jeep along the Tatopani-Jomsom road which connects further to Muktinath. Pilgrimage Tours are available to combine with shorter or longer trekking holidays in Nepal such as Poonhill Ghorepani Trek, Mardi Himal Trek, Annapurna Skyline Trek, Annapurna Base Camp Trek, Everest Base Camp Trek, Everest Panorama Trek or Sundarijal Nagarkot Trek.